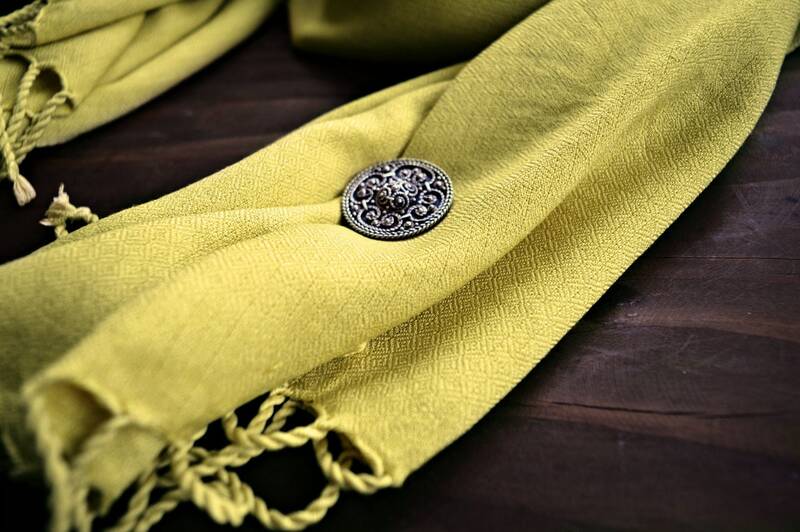 This beautiful, yellow plant dyed silk scarf, hand woven in broken diamond twill is a perfect addition to you historical costume for sun, cold and wind protection. You can wrap it around your neck, shoulders or create a head covering of it. For Vendel and Viking period reenactors. 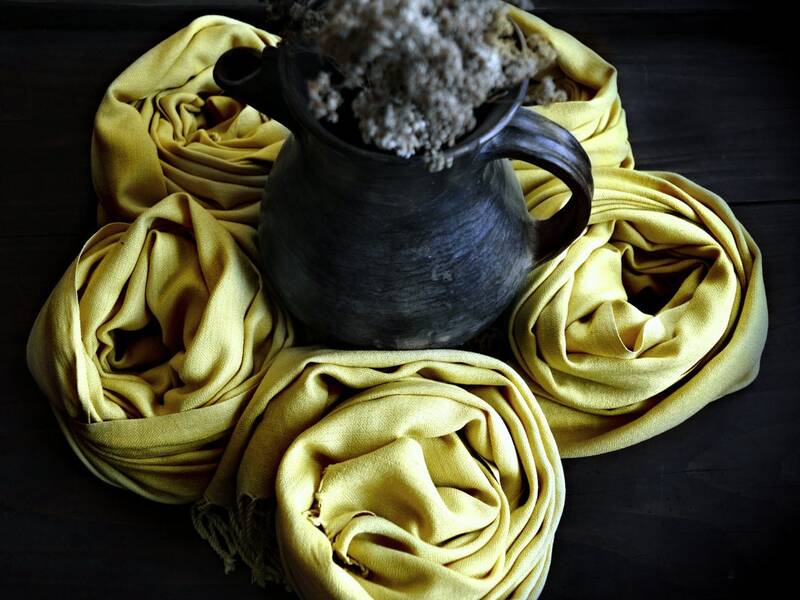 All 5 scarves are in the same shade, they were dyed together in the same pot. The colours in reality may differ a bit from what you see on your computer. 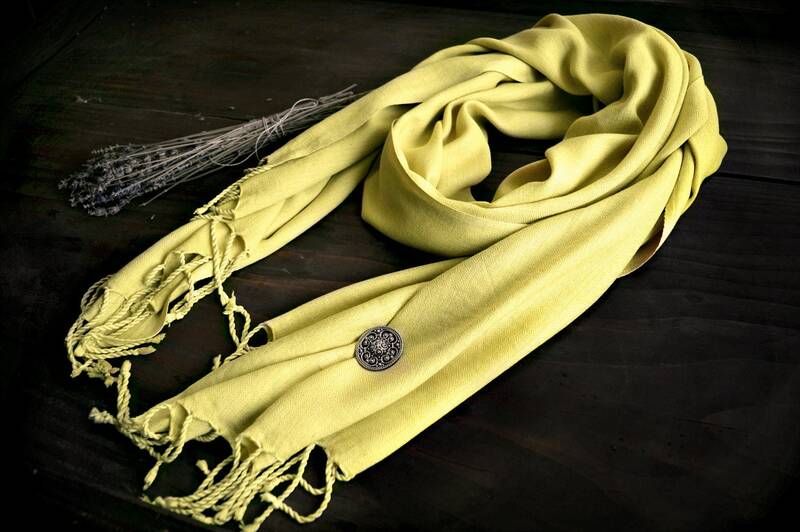 Hand woven from 100% natural Eri silk yarn. Small broken diamond twill (a variation of diamond twill, also historically accurate). 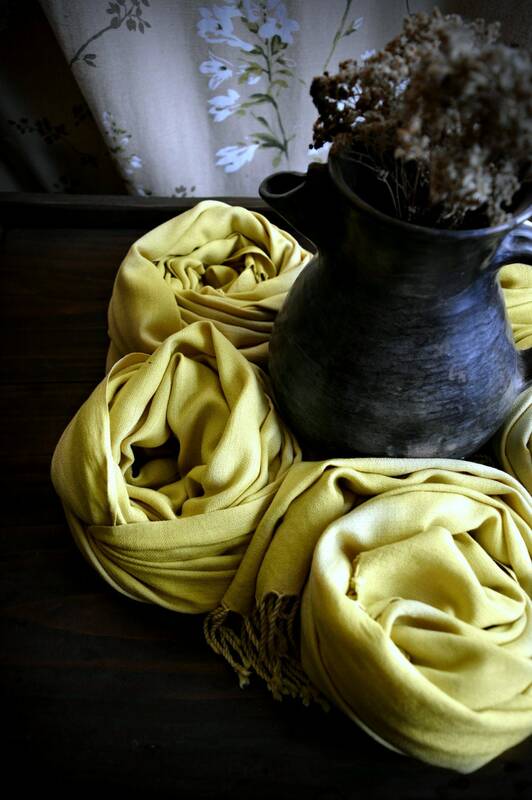 It is not as shiny as other silk shawls in my offer, due to dyeing in high temperature. 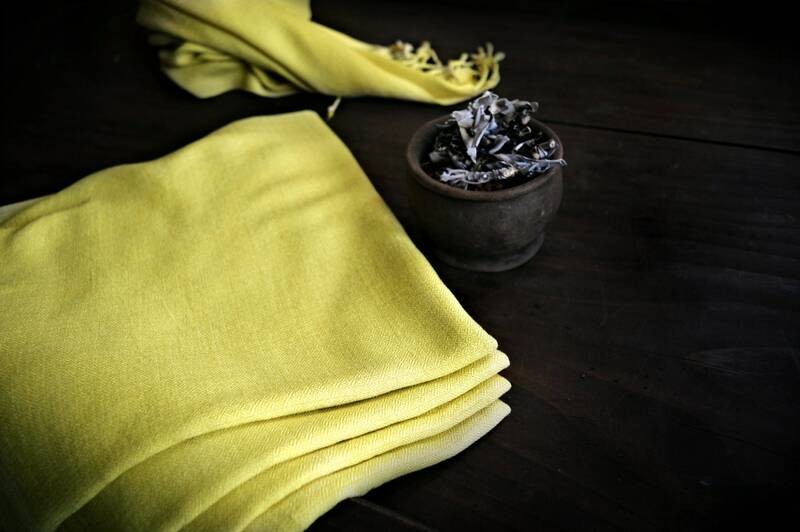 Due to the silk is handwoven there may be some irregularity in weaving. The fabric is pland dyed, so to keep the colours as they are, please handwash in cold water and dry it in a shadow. Eri silk is called non violence silk, as the silk worms are left free (they are not boiled in water) during the production of silk. 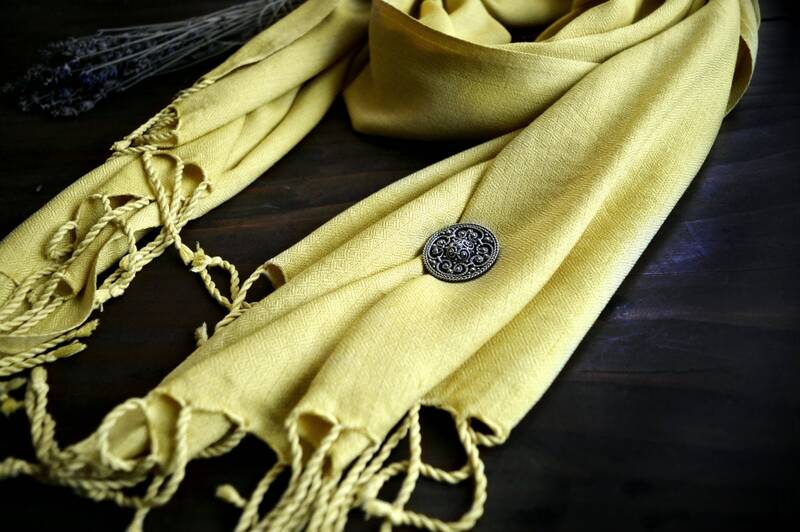 Fabrics made in diamond twill have been found in rich Vendel, Migration Period and Viking graves. They were luxurious fabrics, probably imported. The diamond pattern in these archeaological finds is in small size, like you see on this fabric. There are no finds of fabrics wooven in big diamond pattern. 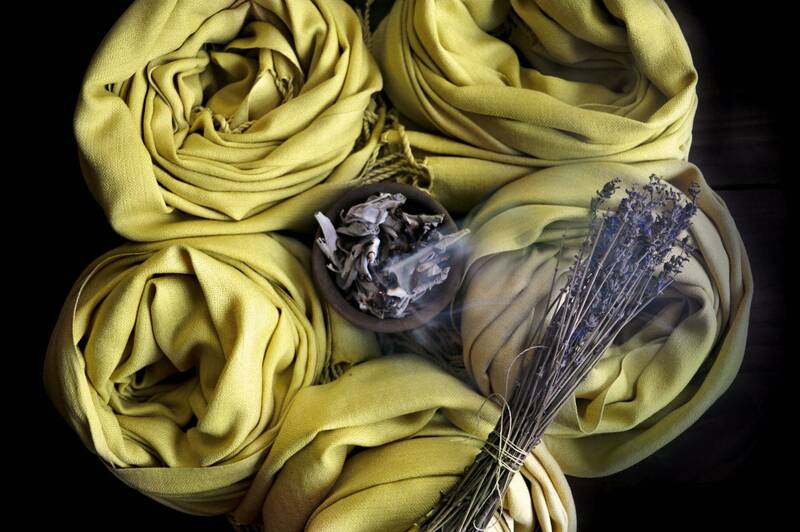 The fabrics and shawls we got are just perfect! We will be back for more. Cheers!